A 360 degree cinema is being developed so visitors to Stonehenge can experience standing inside the ancient circle. Access to Stonehenge has been fiercely contested for decades, with campaigners arguing that they should be allowed into the stone circle. Now, English Heritage has developed a possible solution, a virtual visit in a 360 degree cinema where visitors can “experience” standing in the ancient circle. It will be the centrepiece of a new £27 million centre at the site and is one of a number of audio visual attractions being built to bring the prehistoric monument to life. These will include a 32ft “landscape wall”, on to which computer generated images of the countryside around the circle and other ancient earthworks will be projected. There will also be films exploring the conflicting theories over the establishment and use of the circle. Outside the centre, replica Neolithic dwellings are being built, where visitors will be able to see how early inhabitants of the sites lived. The plans for the centre are revealed in a series of tender documents from English Heritage, seeking firms to provide the technological content for the audio visual displays. The documents describe the “immersive 360 degree projected film” as the “most important and high profile piece of audio visual ever undertaken by EH”. The new auditorium’s 100ft circumference will compare with about 300ft in the actual stone circle. 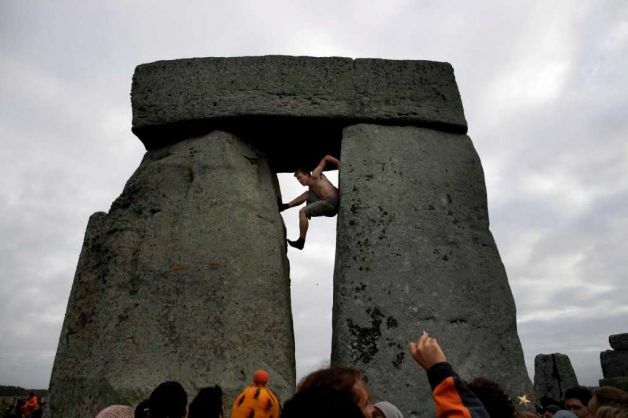 The virtual visits may not win over all campaigners including Pagans and Druids who want open access to Stonehenge, which was created about 5,000 years ago. When it was first opened to the public, it was possible to walk among and even climb on the stones. However, they were roped off in 1977 due to problems with erosion. 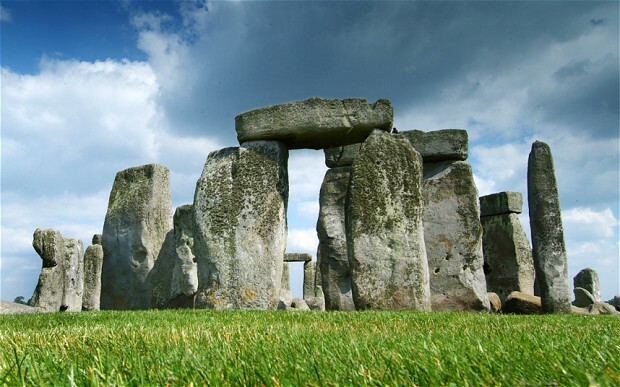 Visitors are now kept a short distance away, although English Heritage does permit access during the summer and winter solstice, and the spring and autumn equinox. Some access visits early in the morning or late in the evening can also be booked. Stonehenge receives one million visitors a year and is a World Heritage Site. The multi-million project is being built 1.5 miles from the stones. ‘The Pilgrims Guide to Stonehenge‘ has been developed as a guide for anyone wanting to visit Stonehenge during the four annual times of Managed Open Access, the summer solstice celebrations, winter solstice and equinox dawn gatherings. Its aim is to provide information for anyone wanting to know more about what goes on and how the quality of the experience can be enhanced through ritual and understanding. As a result, this book focuses on ideas, suggestions and information about what to expect. This pilgrim’s guide has been clearly designed to help the modern visitor to become more of a proactive participant. Apart from wandering freely amongst the stones, much of the information can also be applied to the normal visiting times throughout the rest of the year. Also included is an overview of the historical context, a proposal to reveal the Altar Stone and an examination of how the summer solstice could potentially be developed in the future. Contains over seventy photographs and illustrations. Its aim is to provide information for anyone wanting to know more about what goes on during Managed Open Access (Summer Solstice Celebrations, Winter Solstice and Equinox Dawn Gatherings) and how the quality of the experience can be enhanced through ritual and understanding. Much of the information can also be applied throughout the rest of the year. Includes photographs, illustrations, visitor information, ritual guide, historical context, solstice chart and discussion on the future. This has come from Jim Raynor’s experience of having attended MOA. He felt there was a need for a pilgrim’s guide that enabled the modern visitor to become more of a proactive participant. As a result, this book focuses on ideas, suggestions and information about what to expect. Apart from wandering freely amongst the stones, much of the information can also be applied to normal visiting times throughout the rest of the year. Also included is an overview of the historical context, a proposal to reveal the Altar Stone and an examination of how the summer solstice could potentially be developed in the future. 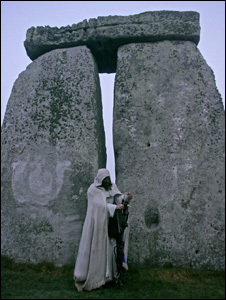 Search Amazon “Pilgrims-Guide-Stonehenge-Celebrations” to find and buy a copy. 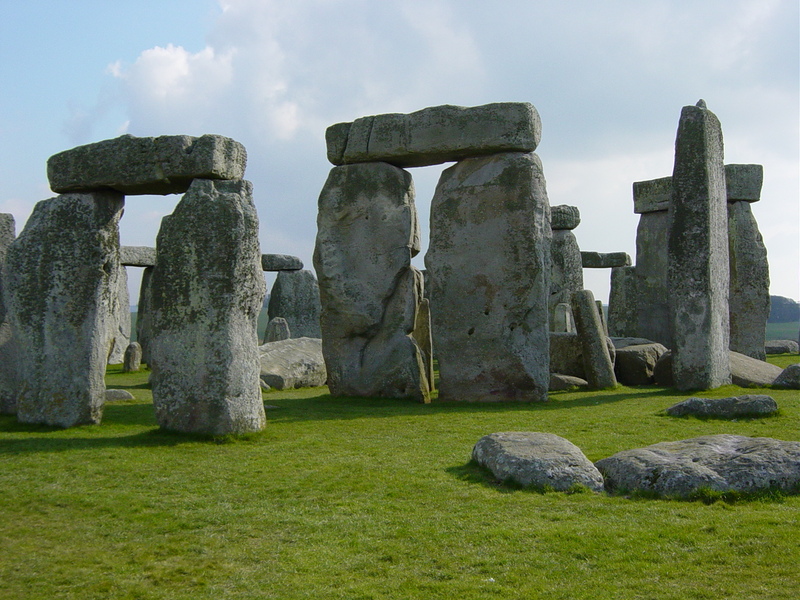 Stonehenge in southern England may have been built by herders, not farmers, suggests a new analysis of crop remains from the last several millennia. Even if farmers didn’t built Stonehenge, cultivators erected plenty of massive stone monuments, Whittle holds. Saturday 8 September 2012 – Saturday 12 January 2013. 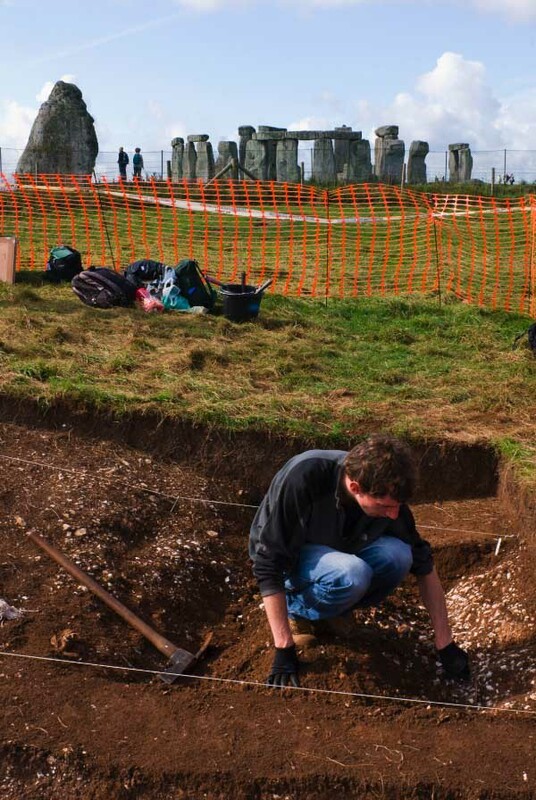 This photographic exhibition captures the actions and emotions of archaeologists from universities across Britain whilst they carried out ground-breaking new work to reinterpret the Stonehenge landscape. Bill Bevan was resident photographer on site for three years during the excavations of the internationally important Stonehenge Riverside Project (2004-2010). His photographs and the accompanying text offer the visitor an unusual and revealing vantage point from which to view the archaeologists at work. Stonehenge Riverside Project is a joint collaboration between archaeologists at the Universities of Sheffield, Manchester, Bristol, UCL and Bournemouth. This exhibition has been funded by Arts Council England and Manchester University in partnership with Salisbury Museum. Check out http://www.billbevanphotography.co.uk/ for more information about Bill’s projects. 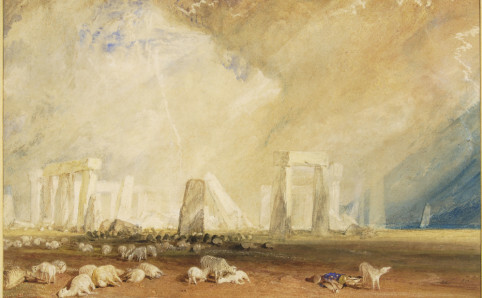 An exhibition about the ways in which Stonehenge has been presented and experienced over time -as a place of wonder, religious pilgrimage, tourist curiosity, celebration and protest. Exhibits include information about how the monument will soon be released from the ‘roads triangle’ that currently surrounds it and reconnected with the wider landscape.